Whether you have the best and most expensive speaker in town, you will get nothing if you put them in a crappy listening environment. Acoustic treatment is important for a great listening environment but people rarely realize it. Setting up acoustics treatment into the music room is what most people hold back on simply because they are badly unaware of what it can amazingly change. The physics of sound circulation is immensely complicated especially when the assortment of materials that make up the walls, floors, and ceiling are added to the equation. It is undeniably very difficult to predict what will happen to the sound waves once they have been left their source as they are invisible. What’s make it more complicated is that every room is different and because of that it will be hard to place the same acoustic treatment if you place them in different rooms. Throwing some acoustics treatments onto your walls denotes an epic improvement to the sound. In fact, it can able to fight the battle for sonic clarity. You may not realize it because you cannot see the opponent but if you try to acoustically treat a room, you can hear the difference. Bass traps are one an essential acoustic treatment elements that make a room sound great. This can be a great addition to your room as change can change the crappy sound you create. Bass traps are the specialized tools for absorbing bass frequencies. They work as broadband absorbers which are good at absorbing mid/high frequencies. Bass traps alone, in most cases, are enough to get the job done. For small studio rooms where there are problematic bass frequencies, the presence of bass traps is important. If you have proper bass management in your room, you will have a more even sounding response across the audible spectrum in which your overall soundstage will sound more unified and naturally balanced. Your soundstage will also come with tighter definition tones. With bass traps, you can hear the frequency balance and transients in your music. You will also hear details that were previously masked by the boomy low end while providing greater clarity. Most people nowadays believe that most studios with smaller rooms reduced the effectiveness of diffusion. Well, that can be good news for project studios because it eliminates the need for expensive diffusers. Yet, others don’t use them at all and that’s tons of a bad idea. Even how much you try to achieve control over the acoustics of your room, you may still end up with a dead and unnatural sounding space and mix in a fairly dead room is not good. This is why you need diffusers. Acoustic Diffusers can preserve sound energy by reflecting sound energy in a mathematically controlled way around your room rather than absorbing it. No matter what the design and specifications of your sound diffusers are, they can cover a huge portion of the frequency room because they preserve sound energy and address issues with resonance. Diffusers can also make the sound source more natural, make smaller spaces sound larger and make wood to look awesome. Though using diffuser is a personal decision, diffusers play a big role in creating an acoustically treated room. Acoustic panels are believed to be the primary weapon to combat studio acoustic problems. Acoustic panels can do something that the bass traps can’t. It offers more surface area because you’re just going to use less material. Moreover, it provides greater wall coverage for a lesser cost. Though acoustic panels are not as effective as bass traps when it comes to absorbing the lowest bass frequencies, they are very much great to serve as a supplemental tool. 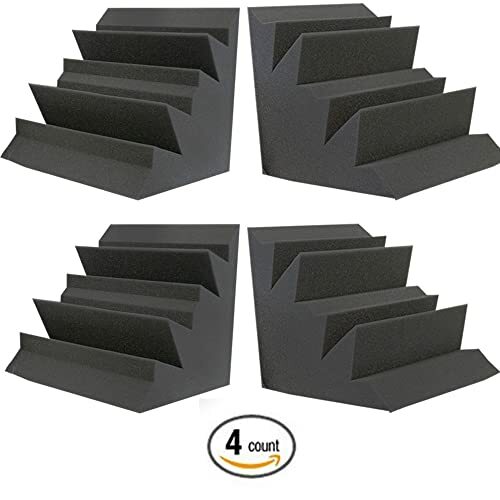 These thinner acoustic panels kill any standing waves that may exist in between of the opposite parallel walls since they need to be placed in the corners of the room in which most bass traps are not capable of. If you are a complete beginner, focus on purchasing the right microphone and interface first so that you can get started on making quality recordings with ease. Then a good look at how sound behaves in rooms and how it would affect your recordings. 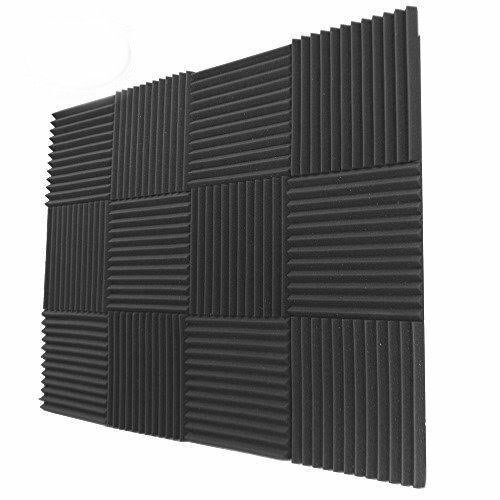 In this way, you will get a better recording result by placing acoustic panels. Check here for acoustic panels. If you have decided on your acoustic treatments and have piled them in the middle of the room, the next step you probably have to do is to stick them up into the walls. That’s right and there’s nothing wrong with that but make sure to let them go in the right place. You should learn its acoustic performance and don’t let it look like it’s been put up by a three-year-old child. Be informed beforehand that you need a kind of glue for the skeleton gun to apply. However, it is still better to work with the aerosol-based adhesives for sticker stick. If it is your first time doing the job, you might find it useful to have 3D drawings for you to be able to plan precisely where each panel would be going. Try creating a computer-generated version of your room yourself. You can use a freeware 3D drawing program such as the Google Sketchup and plan the best of your design with ease. Sketching on a piece of paper would be enough but using a 3D drawing program can provide a useful guide for you to print out and use it like a map during the installation. Moreover, this will give you an idea how to plan the look of a room in a more real way. Before going through this project, never attempt to acoustically treat a room yourself. You should have someone to assist you for proper installation. If you rent a space never ever dare to glue or screw anything to the walls unless permitted by your landlord. Consider the space closely and make sure it will provide a reasonable size for your job. Whether you have a small or big room, always get the performance space right. If you opt to buy commercially acoustic products that offer consultation service, don’t miss the chance and go for it. It is very important if it is your first time recording. Buy products wisely. It should be quite versatile so you can use them for dry recordings and for livening up acoustic recordings. It is may sound great to have an almost wall coverage but don’t forget the fact that the typical home studio only needs between 30 and 40 percent coverage. Such percentage is enough to adequately treat a room without killing the sound completely. When measuring acoustic treatments and the walls, don’t forget stick once but measure twice. Make sure the panels would show equal space along the walls. There should be no any dimensions or measurements to indicate how you space the tiles so measure the whole room and plan the position of all the supplied panels. Plot the position of a row of equally spaced panels which you soon emerge by only using a quick and easy formula. You just have to measure the length of the wall, subtract the total width of the panels you want to be fixed and then divide that figure by the number of gaps between panels. You can also divide that figure by the number of panels plus one. To get things look good, mark the corner points. You need a spirit level and a spare of your hands to do this. To achieve maximum adhesion, use conflicting patterns when applying glue to the surface. Glue the foamed bass traps and once they are plotted and marked, don’t forget to check them again if they have the same number of actual panels the same as what you plan. Many people wonder if acoustic treatment could really stop the sound from leaving and entering the room. The fact is, no. Acoustic treatments are not designed to stop the sound rather it can block the sound from traveling from once space to another. If you consider having universal room kits you will improve the quality of the sound within your room. But then again, it will not block or stop it from leaving because soundproofing materials are designed to add mass while reducing noise transmission between the wall, ceilings, and walls. The corners of your room are the place where low frequencies build up the most. It is the best place where bass traps should be placed. A 600mm bass trap placed in each corner is enough. Make sure the all areas are well covered. You might start at the ceiling. There should also be at least 300mm bass traps placed in the horizontal junction between walls or ceiling. Such bass traps should be placed as well on the front wall such as the wall you face during mixing and on the rear wall. Some homes have doors and windows near vertical corners making producers find it hard placing bass traps. If this situation happens the same in your case, simply place the traps horizontally along the junctions between your walls and ceiling. Related Post: Acoustic Treatment and Soundproofing Ideas. Reflections within 80 milliseconds direct sound are often impossible to distinguish as a separate source and this can make the recording problematic. One way to minimize this is to have someone move a mirror along the front wall, side walls and ceiling while you are setting at the right listening position. It is a good location for adding wedges when you see the reflection of the speaker and the halfway point between the speakers and the listening position will be along with the front wall placed behind your speakers. Another part of the room that should be treated as well is the rear portion. If the rear portion of the room is being treated you can have the power to control ambiance. To do this just place wedges on the rear wall to allow the absorption of the direct sound coming from the speakers. Moreover, the rear portion of the side wall should also have staggered treatment such as the pattern that is used for the left wall in which in should be inversed for the right wall. To perform this better, try to imagine a checkerboard where red squares are placed on the left wall and the black squares are on the right wall. Adding some additional panels can help you control ambiance and late reflections more effectively. They should be placed on the ceiling found in the rear portion of your room. For a more improved studio recording setup, you can place additional bass traps to the vertical and horizontal corners of your room. Bear in mind that you can’t have too many bass traps and wedges especially if you have a small room. Just add a bit on certain areas that will not only improve your low-frequency response but allow you to have some more control as well. Additionally, it would be more beneficial to install acoustic pads or those specially formulated anti-compression pads which are designed to improve the accuracy of your near-field monitors. You can do this by isolating and decoupling the pads from the surface in which they are resting on. Your home studio does not need expensive commercial acoustic treatments if you’re a complete newbie. Having them in just a few dollars is fine. You can also use home items such as blankets as a cheap yet effective alternative. Treating a room acoustically without breaking the bank is important. You can find a lot of options everywhere. Start refining your recordings by using some of the suggested items above and start making a great recording by simply following the simple steps there too. Should you have questions? Please leave it in the comments. Share this if you liked it. What Exactly A Trap Beat Is And How To Make It? How Many Bars In A Song?